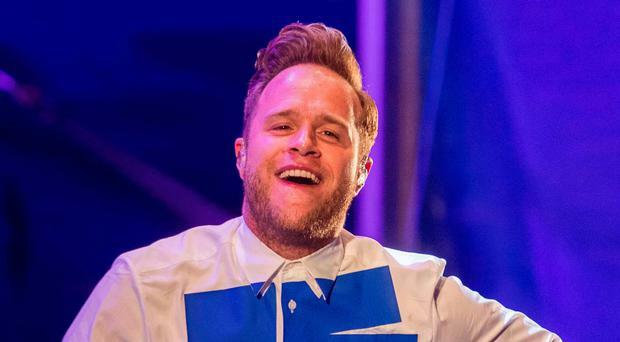 Olly Murs may be one of the most upbeat personalities on our TV screens, but the pop star has opened up about his struggle with his mental health. The 34-year-old revealed that he suffered with anxiety and panic attacks after his live television blunder in 2015, when then host Murs prematurely revealed The X Factor exit result, sparking a huge backlash and claims that the show was fixed. He was speaking in an interview with the Belfast Telegraph ahead of a concert at the SSE Arena next month. Murs said: "I'm the most upbeat, fun person there is. I love having a good time, but the aftermath with the Press and what people were saying to me in the street, online, it was difficult to take. I had to put my feelings to the side and puff my chest out. "Then when I got given The Voice job, it surfaced all these anxieties and worries that I had about doing live television. "Can I do it again? If I make a mistake, what are people going to say? It made me feel like I couldn't do the job. I was like, 'why am I feeling like this? It's not me. I would never ever let something like this get me down'." Murs said that talking to someone made him feel better immediately. "It's not always our friends and family who can help," he added. "I couldn't speak to mine about it because I felt like it was a sign of weakness or they wouldn't really understand. "A lot of them were saying: 'You'll be fine, don't worry, ignore that'. But I didn't want to ignore it. I wanted to talk about it. "And I did. I went and spoke to a stranger and we had a really lovely conversation and we spoke about things and it made me understand why I was feeling the way I was." Murs has enjoyed success as a performer, presenter and reality TV judge since appearing on The X-Factor 10 years ago. The Troublemaker singer says it's "always great" to come back to Belfast and he has a great fan base over here. When he performs in the city next month, Murs promises his Tuesday gig will feel "like a Saturday night" - hangover and all. "I want people to go to work the next day with a headache, sore throat and feel like they've just done a marathon. Like they've had a really good night out and all they want to do is sit in the next day, eat Dominos and watch Netflix." Murs is a fan of Belfast nightlife and revealed that he is "very disappointed" he can't party at Box nightclub, which closed in 2017. It was a celebrity favourite, with Rory McIlroy and One Direction among those spotted there. Murs performs at the SSE Arena, Belfast on Tuesday, May 14. Tickets are on sale now.